Everyone looks forward to a healthy and happy life. Unfortunately many will experience injury, trauma and illness, some of which may be life- threatening, some may require a long extended stay or visit to The Townsville Hospital. The Townsville Hospital Foundation helps and supports patients and their families during these times. As Queensland’s largest regional Hospital, The Townsville Hospital provides medical services to a large geographical area, servicing communities from Papua New Guinea, south to Mackay and west of Mt Isa. Since inception in 1989 the Foundation has been the conduit of millions of dollars of support, making a difference by providing the key extras that makes a difference to patient and visitor care. This includes a valuable army of 120 selfless volunteers who so generously donate their time across all areas of the hospital. The Foundation makes a difference by stepping into the gap to provide additional patient and visitor care facilities. Plus making contributions towards additional training, education and innovative research projects, to ensure the Townsville Hospital remains at the forefront of patient care and at the leading edge of new technology and treatment methods. To raise funds, the Foundation relies heavily on the support of the community. It is through the generosity of many individuals, businesses and community groups that we are able to assist the hospital in its patient care and lifesaving work. The Townsville Hospital Foundation is fully committed to improving the lives of the people it serves, with 100 per cent of all funds raised, donated or provided through sponsorship arrangements held locally for the benefit of our community. As the CEO your primary responsibility is to develop and deliver a operational plan that aligns with the Boards strategic direction ensuring long-term viability and growth of the Townsville Hospital Foundation. This includes identifying and building a diverse range of client relationships (business partners, sponsors, and community groups), with a strong focus on increasing the existing revenue streams and expanding the Townsville Hospital Foundation service areas. As the CEO you are also responsible for ensuring that all governance and regulatory requirements are met within the required timeframes. Tertiary qualifications in either business, health services or not for profit management or a demonstrated experience in a similar role of 3 years or more. Proven ability to lead people through transformational change. Knowledge and experience working in the NGO sector, governance processes and reporting to a Management Committee. Hold professional membership and/or affiliations relevant to the position. Experience in brand management, marketing and public relations. Development and implementation of an annual operational plan that increases ongoing revenue through a diverse range of partnership agreements and aligns with the Boards strategic plan. Setting and achieving annual revenue goals, in consultation with the Board. Creation and implementation of a regional expansion plan. Identifying and securing new revenue streams and mutually beneficial partnerships. Proactively managing external relationships (business partners, sponsors, community groups, media). Oversee all marketing, public relations and communication activities to ensure that the Foundation and its mission, goals and services are consistently presented in a strong, positive way to relevant stakeholders. Actively represent and promote the Townsville Hospital Foundation across a broad range of industries, forums and community groups. Oversee budgets, expenditure and management accounts ensuring that income and expenditure is within business plan targets. Identify and put in place an effective risk management strategy and framework for the foundation to support the operational plan objectives and robust financial and strategic management. Managing a small team that is responsible for administration and implementation of the Foundation’s operational plan. Ensuring all governance and regulatory requirements as dictated by the Hospital Foundations Act 2018 are met within the required timeframes. Presenting progress updates to the board at regular intervals. Develop a culture which motivates and empowers staff to take full accountability for their individual performance. Proven experience in successfully leading an organisation through transformational change ideally within a not for profit sector. Demonstrated track record of excellence in organisational management with the ability to develop high-performance teams, set and achieve strategic objectives, and manage a budget. Proven experience creating and maintaining high level relationships within the philanthropic community, government, and private sectors. Understanding of the local and national fundraising landscape. Excellent communication, negotiation, influence and interpersonal skills. Results driven with a demonstrated ability to meet and/or exceed set targets/KPIs. Townsville Hospital Foundation understands that some employees may seek additional outside employment or volunteer activities whilst employed by the Townsville Hospital Foundation. Permission must be sought from the Board to ensure that no Conflict of Interest exists between the different roles. Townsville itself is a thriving city with access to a variety of world class education facilities, quality health care, affordable housing, unique retailing, spectacular events and entertainment, a great restaurant & coffee scene, an airport with excellent connections to Brisbane, Sydney & Melbourne, and a wide range of outdoor recreation options. It’s a brilliant spot to raise a family. 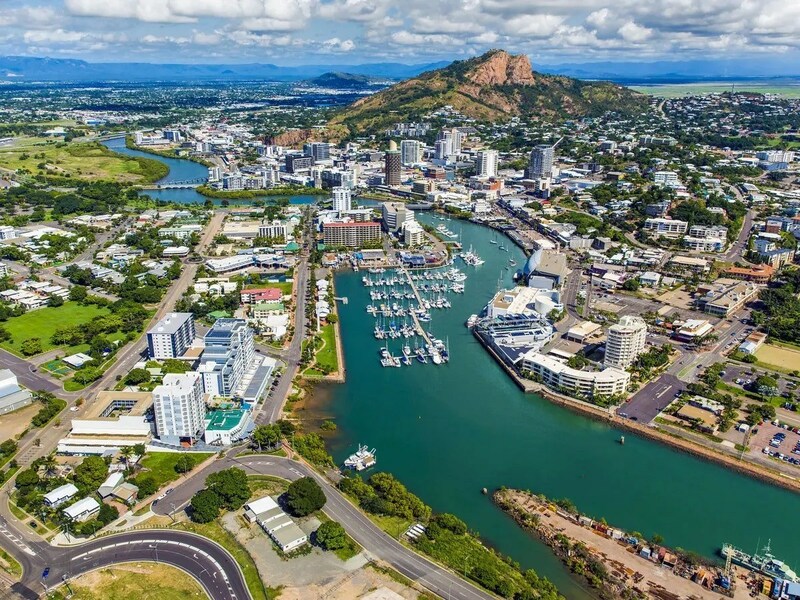 And with over 300 days of sunshine each year, Townsville’s lifestyle is second to none. A sea-change doesn’t mean your career has to be mothballed. Plus you get to live a fantastic, relaxed, tropical lifestyle. TP Human Capital are 100% based and owned in Townsville, and are the city’s largest and best known HR firm. Who better to speak to about jobs in NQ than the NQ specialists.